Paula Kehoe is a storytelling machine. From Red Rock Communications in Peterborough, she creates content, manages media relations, produces social, and turns regular events into compelling storylines that engage and entertain. And it all starts with listening: first to her heart and her gut, and then to others. 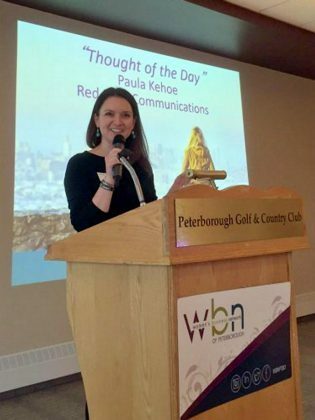 Paula started Red Rock Communications in 2016 after she had relocated to Peterborough with her husband. She had worked for years as a journalist and then as a corporate communications consultant but when her son was diagnosed with autism, she made a decision to work for herself so she could be present for her son and her family. That tough decision has now, a few short years later, turned into a long list of grateful clients and unexpected business opportunities. You can still hear Newfoundland in Paula’s voice. There’s a warmth and that musical lilt that draws you in as she talks about her business and the long hours and constant creative output that are just a regular part of her life. And this integration might just be the secret to her success. It’s about working long hours on projects she connects with, for clients she respects, and taking the time to enjoy friends, family, community, and whatever else makes her feel content. Paula works most days writing strategic and compelling content. She chooses words — spoken and written — with the frugality of someone who clips coupons. There is a plan with every phrase and each syllable has value. Her projects are many and her clients are diverse. 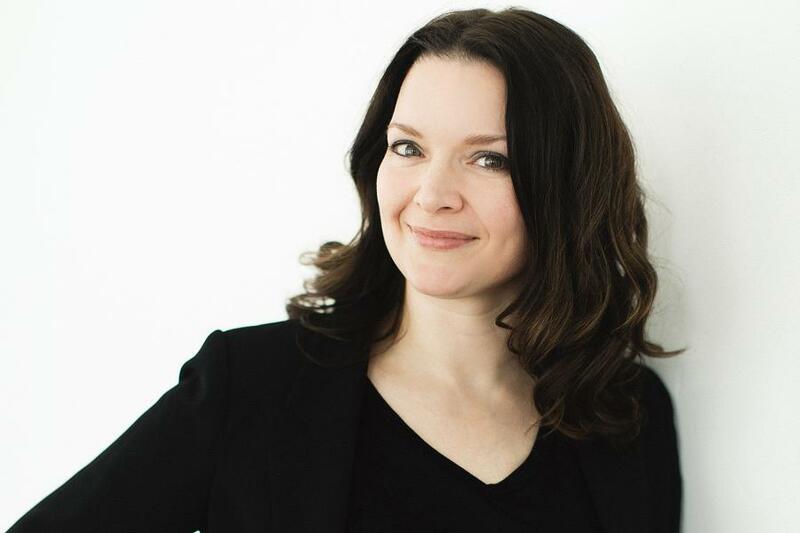 She works with agencies in team environments and she supports individual clients in collaborate relationships while keeping a mindset to see opportunities — which is how she recently ended up as the VP of Marketing and Communications for a virtual reality startup. “This is becoming the next great storytelling medium to engage people, allowing an entirely new interpretation and expression of a brand experience,” Paula explains. Every platform that Paula crafts content for requires different language, style and methodology so she stays sharp by listening to podcasts and catching up on what’s new in the industry. Paula also learns from her two kids, who are a source of joy and inspiration. Laughter is a theme for Paula. She’s always interested in sharing a laugh and a beer with her husband or friends and she believes that good people fuel her creativity. She volunteers a lot, having just finished up her second term on the Women’s Business Network of Peterborough board of directors and recently joined the International Women’s Day Conference committee for a third year as communications lead. And although that adds to her plate, as she describes it, this helps keep her mind fresh and taps into her desire to keep building meaningful relationships which is something that has spilled over into her work life. Paula doesn’t really advertise, and most of her contracts come through word of mouth. She chooses her clients carefully and only works with people she thinks she can have great relationships with. Paula is also realistic in how she looks at work and the opportunities that she has. After years of creating a cozy niche, she understands the importance and the value of what she does. Red Rock Communications is located in Peterborough. For more information, visit redrockcommunications.ca. 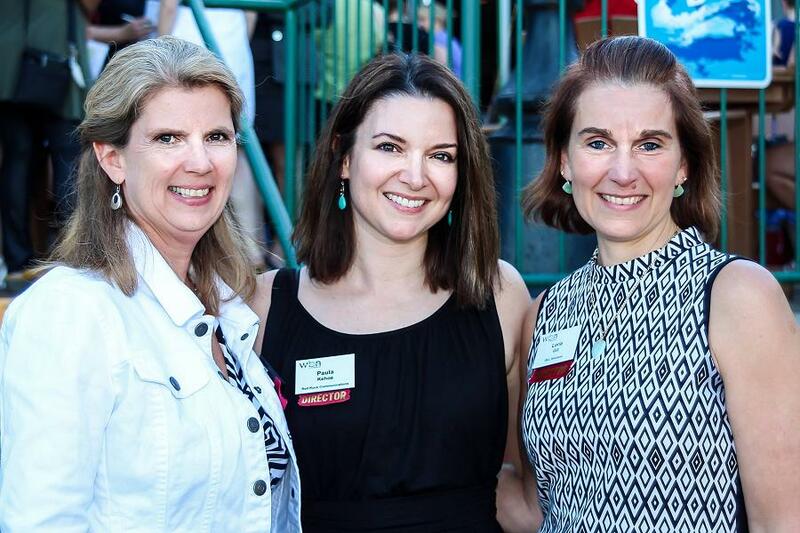 You can also connect with Red Rock Communications on Twitter and Instagram.